His father moved him to a stricter school, the University of Berlin, to study law and philosophy after being imprisoned for drinking, disturbing the peace, and fighting in just two semesters at Bonn. Believed all historical change was caused by struggles within a class between the "haves" and the "have nots." Capitalism: economic system in which businesses are privately owned by the "haves" (middle and upper class). They hold all economic and political power, and they own the land. The lower class, the "have nots," do not hold power, but instead provide the labor for the businesses. The upper class pays the people of the lower class for their work, but charge more for their goods in order to make a profit. Therefore, the rich get richer until they eventually are overthrown by the lower class, resulting in a communist society where businesses and property are shared. Biography.com Editors. "Biography of Karl Marx." Bio.com. A&E Networks Television, 11 Nov. 2014. Web. 15 Sept. 2016. Wiliam, Sydney Australia. "Karl Marx and His Theories." , Background, The Russian Revolution, SOSE: History Year 9, NSW. N.p., n.d. Web. 18 Sept. 2016. 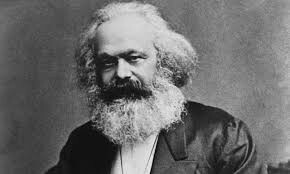 <http://www.skwirk.com/p-c_s-14_u-427_t-1083_c-4188/karl-marx-and-his-theories/nsw/karl-marx-and-his-theories/the-russian-revolution/background>. Ollman, By Bertell. "A Bird's-Eye View." What Is Marxism? N.p., n.d. Web. 18 Sept. 2016. <https://www.nyu.edu/projects/ollman/docs/what_is_marxism.php>.